It’s too early to know Dr. Atul Gawande’s priorities in his new role as CEO of the yet-to-be-named health care venture of Amazon, Berkshire Hathaway, and JPMorgan. My colleagues at STAT report that before anything else, he’ll embark on a listening tour. So, Dr. Gawande, I’d like you to listen to me for a moment: Whatever you create, however you disrupt, you need to treat the mental health needs of the people you serve with the same consideration and care as their physical health needs. On a recent Sunday, I evaluated a woman in the emergency room who was so depressed she had stopped eating, stopped sleeping, and had become increasingly paranoid. She was in crisis, and I needed to admit her to an inpatient psychiatric unit for treatment. So began a bureaucratic nightmare that has come to define one of my most frustrating challenges in providing good, meaningful mental health care. It’s a nightmare that is not only discriminatory, but also dangerous, and exacerbates health disparities. And it’s an antiquated throwback that wastes doctors’ time and hospital resources, and reduces efficiency. 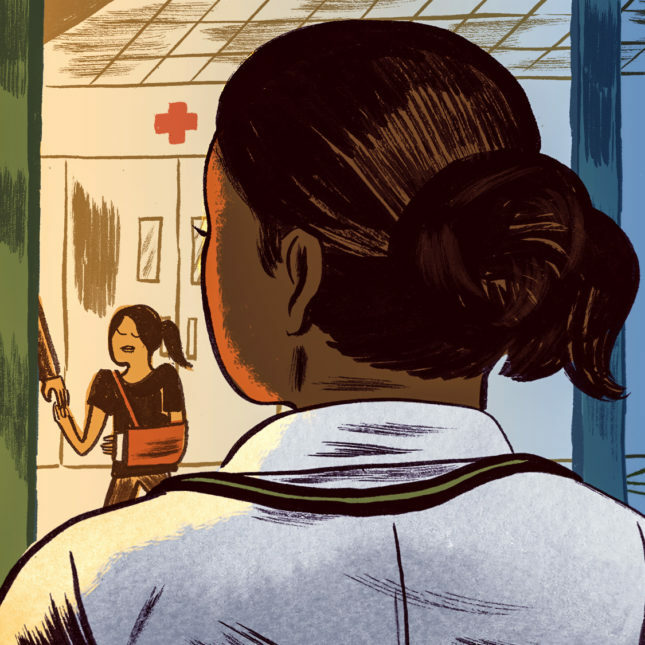 She needed prior authorization from her insurance company to be admitted, and the office that could do it wasn’t open overnight or on the weekends. My fear is that if Dr. Gawande and other health care innovators don’t put mental health front and center, they will fail to put our patients first because there is no health without mental health. Furthermore, it will be a missed opportunity to address the tremendous waste in the system. I called my patient’s insurance company, and navigated a labyrinth of “press 1” for this and “press 2” for that, trying to find a human being to authorize her admission. This was precious time I could have been spending with her, or another patient who needed me that Sunday afternoon. Once I finally reached someone, and was told that no one could provide this authorization on the weekend, I asked flat-out why any company would have such a discriminatory practice — had my patient been having a physical crisis, like a heart attack, she would have been admitted in an instant. Then there was more time on the phone, waiting for a supervisor to weigh in on the situation, and to decide whether he or she could help. But my effort was futile. She could not be admitted, and would have to spend the night in the emergency department. I handed her a warm blanket and could only apologize over and over while fearing this experience would keep her from seeking help the next time she needed urgent psychiatric care. My time on the phone was bad for medicine and her experience with her insurer was bad for her health. In general, patients requiring psychiatric hospitalization wait up to 5.5 times longer in the ED to be admitted than patients entering with non-mental-health concerns. People who are uninsured or have public insurance wait the longest, and this means a higher chance of medication errors and poorer outcomes. In the case of my patient, by delaying her care, her insurance became a liability, and not the lifeline it should have been. As for me, a psychiatry resident, a small study found that we spend about 38 minutes on average per patient dealing with prior authorizations for inpatient admissions. This time on the phone is time I am not practicing medicine, and not working at the top of my license. One of my attendings, who was part of that small study, estimated that 1 million hours are wasted each year in the United States this way. And few other physicians have to do this kind of clerical work for emergency care. Dr. Gawande, as I was on the phone with my patient’s insurance company, I was reminded of your writing about efficiency, avoiding mistakes, and providing the best patient care. I also thought about how this prior authorization issue wasn’t going to change with a supervisor, or even that person’s supervisor. It has to come from the CEO, the person who signs off on the company’s practices. This is why I’m writing to you. You’re now a CEO, and as you go forward in this venture, here is my checklist for you on ways you can innovate to improve mental health insurance practices in the U.S.
End prior authorizations for inpatient and outpatient treatment, which often involves getting permission to give patients medications or get admitted to day programs that are essential to their care. Reimbursing mental health practitioners appropriately for their time and expertise so that more of us are excited to join insurance panels. This will allow you to prioritize prevention by improving access to ongoing outpatient psychiatric care and therapy. End the insurance practice of denying inpatient admissions for people with mental illness who present with substance abuse problems. The two often go hand-in-hand, and refusing to authorize admissions driven by substance abuse contributes to the stigma associated it. Efforts to codify parity through the Affordable Care Act have been important first steps. But, you have an extraordinary opportunity to put into practice so much of what you preach, so much of what you teach, when it comes to efficiency, preventing medical mistakes, and ensuring that everyone has access to the best possible health care our nation can provide. Very well said, thank you. As a private practice clinician, I know I avoid being a provider for insurance companies who make me jump through a lot of administrative hoops — requiring prior auths for clients to be seen, although that 20 minute phone tree experience involves zero clinical information being exchanged or evaluated, so I’m utterly at a loss as to how that can be helpful to anyone anywhere; or having to request reauthorizations that take 30 minutes every 8 sessions. Those are all unpaid wastes of my time, and I imagine involve significant expenditures by the insurance companies to communicate and process that useless information. There is great opportunity to eliminate waste with these processes, and an opportunity to make more insurances attractive to more providers, who are in short supply. Last point: mental health agencies that pay a living wage to their clinicians would be able to recruit and retain professionals who would not need to leave for private practice in order to support their family. This would be the other way to dramatically increase the number of professionals in the field and start to meet the high need out there. A Psychiatrist should know better than the rest of that Dr Guwande’s only purpose in this public relations excessive, it to give the tech creeps a nice veneer. This makes great hype, might sell some stocks, and has generated a lot of free publicity. It is really clear how they have been “disrupting” healthcare. They are Gas Lighting us all. They will have a nice product for their upper tier employees, to attract the good ones, while the rest will be disposable. they are already working on it. They have gotten a lot of help from the Oligarchs, in DC, and from our regulatory agencies already. They do not want to provide healthcare, whey they do want is deniability, that way their low wage, underpaid at will employees, are on their own when they are injured or worked to death. This is the New World Order folks. These Psychiatrists are about as bad, they do not tack the negative outcomes, ruined lives or societal costs associated with the failures of their profession either. they were fine with conflating mental illness, with physical illness, when it saved an employer or insurer money. They took money from Pharma over medicated and failed to help people with the standard MH Disorders, after observing this for 40 years, it looks as if that group was much better off back then, at least they could die in peace on the street. The people I have known for years with these types of disorders are much worse off. Some of them had children, who are doomed to repeat it all. In spite of a all of the hype about Neuro Imaging, Precision medication and other marketing BS, there has been no improvements, unless you only count the wealthy with unlimited resources. We are in Post Science and Post Fact America, where certain people are disposable, Not many Psychiatrists spoke up, back when it could have made a difference, it is too late now. Mavis, why all the vitriol toward someone who is trying to make a difference? Your blaming Psychiatrists (in general) and criticizing this one who is actually helping and trying to help, and you talk about the people you have know for years with these types of issues, but you offer no solutions or effort other than negativity. I understand frustration, but please keep your negativity to yourself. Thank you Jennifer for your efforts each day/night you are on service and call. And great initiative to take the time to write about your experience and perspective. Yes, we have a long way to go to help people get much better, but much progress HAS been made. I do hope (and believe) that Dr Gawande and crew can make a difference and spark something that will be meaningful to people with diseases and disorders of the brain. I hope to be part of those efforts and solutions and hope to run into you along the way Jennifer. I have every right to question all of it. Recently in my community, a kind of backwater, with a religious hospital, a young Schizophrenic man was shot 17 times by police. The day before the police acutely brought him to the ER. He was held a few hours, and released before his mother could get there. This hospital has done the same thing and worse for years. Their well paid spokespersons, only response was to blame the Schizophrenic. I have been observing family members, acquaintances and others over the years, and have seen how, it is only getting worse. There are suicides, which are attributed to whatever, and not counted, overdoses, often from the Psych Medications, a Psychiatrist probably prescribed after a 5 minute visit. I know kids on these medications too. Quite A few people I was close to, are now dead, or zombified, on medication. Not only did these medications, fail to treat their disorders, it appears to make them worse. These Psychiatrists have no way to track, any of the long term effects of their “treatments” and they lack even the most basic curiosity. Popular media has been blasting us with a lot of hype about breakthroughs, “Brain Science” and new imaging techniques, misleading us as to how effective any of this might be. None of this new science or data has been applied in any effective way. They are still doing exactly what they did 50 years ago, except with a few changes in the prescription manufacturers. Since these experts, expanded the descriptions of mental illness, and essentially wrote off a whole segment of our society, there is no expectation of any improvement, thus no reason to follow long term outcomes. What I see here in my circle, and the few people I interact with should really be terrifying. I was one of the stupid people, who would call a Case Manager when I saw a person with a disorder at risk. I lived in a rough neighborhood. I realized that these “experts” had never observed these people over time. There is a big difference between 5 minutes on a clinic, and observing, how they interact later. I realized this was not about improving lives, human potential, or even the children. It was about appearing to ‘help” It was all about a random diagnosis, and drugging them all. of course most of the people they drug, and fail to help, end up even worse. They failed to define any of this. This Industry lost track of it all, they failed to define, something I refer to as Dysregulation. They failed to find medications, that people with disorders like Bi Polar or Schizophrenia would take, instead they provide random drugs, that make them feel worse, so they won’t take them. Not one of them ever asked where is the research, or why no research has been done. I know Bi Polar people who fairly regularly go off their meds. I used to tell them they need to explaining this to their Psychiatrist, but now I don’t bother. Their Psychiatrist could care less, especially since they don’t have to deal with the behavior over time. We are all being Gas Lighted here, and I am sure that some of these Psychiatrists are well intentioned and really want to “Help.” In order to find “Solutions” they have to first define the problems. I am fairly powerless to find any “Solutions.” I used to belong to some “Advocacy” groups, but they are all reliant on Pharma funding, so they have to tailor any messages to promote Pharma and obscure the facts. Unlike a lot of people, I actually engage in conversion with people, many of them with these disorders. I know the kids of people with these diagnosis, and seen how this random lack of a definition made these conditions generational. The so called Advocates are more difficult to communicate with than Schizophrenics. There is something seriously skewed here! Mavis … I truly get how difficult it is, and how frustrating things are around you for the folks that you know. There is one place that I would strongly disagree with you. It is absolutely not the same as it was 50 years ago. I know that for a fact, because I’ve travelled the road. The single biggest difference between then and now is the loss of reimbursement for talk therapy. Add to that the loss of training that psychiatry is putting into talk therapy training these days, and many psychiatrists are not adequately grounded in what was called psychodynamic principles. Talk therapy is not as “evidence-based” as some would claim, but it is very effective, with well-trained therapists who have the time to establish strong relationships with patients. The basic problem with the use of talk therapy is that it is more expensive than insurance wants to afford. And Medicare is every bit as reluctant as commercial insurance. If society wants talented, highly-trained people who are highly skilled in talk therapy, there has to be a recognition of the value of that skill set relative to the rest of the labor market. At this point in time, that recognition is nowhere to be found. As you say, a five-minute session is not enough to prescribe meds. Thanks for your important, well-expressed thoughts. Dr. Gawande can’t mend all that is broken, but he can communicate and be listened to. I hope he also learns that most seniors, even those who in the top net worth decile, live in fear of medically-induced poverty and worse in old age. Can you imagine the thoughts of the less economically advantaged? At the rate our country is regressing, we will be not only the leader in per cap gun deaths but suicides! Single payer, no middle-men profiteers, is what a representative legislature would be working towards. Elect the right people! Excellent article. I hope Dr. Gawande does listen to you! Too many people are living on the streets or in prison (our fallback substitute for a real mental health system) because of lack of mental health care. This article is well-meaning but basically innocent and naive. Having been in the mental health field for many decades, I can remember when the priorities for mental health were different. Since the onset of managed care, roughly three decades ago, the insurance industry has had one goal, and that is to eliminate their liabilities for mental health care, both inpatient and outpatient. 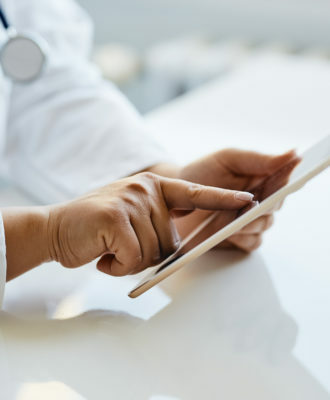 All of the impediments, such as pre-authorizations, and immorally low reimbursement rates for both inpatient and outpatient care, are all part of the same plan. It is understandable that the health insurance industry needs to be able to contain costs which could be a black hole. But they have carried out the blitzkreig against mental health with un-American and basically unethical strategies. If America wants to have a viable, effective, mental health infrastructure, wholesale changes to the entire system are needed. As it is now, neither inpatient nor outpatient care has anything close to adequate coverage. As a result, good people are leaving the field, good people are refusing to enter the field, resources are severely lacking, and vast numbers of people who need good treatment are not getting it. There is only one evidence-based solution: a single-payer, expanded and improved Medicare-for-all, non-profit national health program. It’s evidence-based because every high income country uses this approach with far better outcomes than ours. We must end for-profit health insurance. It isn’t rocket science!